A portion of a New Kent County real estate development, still trying to pick up steam after the downturn, could be headed to auction. New Kent Vineyards, near Exit 211 off Interstate 64, is a partially developed 2,500-acre plan that includes the Club at Viniterra golf course and the New Kent Winery. 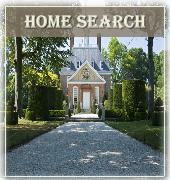 It was conceived amid the real estate boom, when many developers rushed to the rural county as the next bedroom community for Richmonders. The county is eyeing about 180 acres that make up the commercial section of New Kent Vineyards as the parcels’ owner is behind on millions of dollars in infrastructure bond payments. After more than two years without payment, the county this month took the initial steps to potentially force the property to auction. It hired local law firm Sands Anderson to post public notice that the Farms of New Kent LLC, tied to developer Nathan Shor and a partner, is delinquent on the bond payments. This action only applies to the Farms of New Kent LLC which includes the commercial portions of Land Bay 4 and 5 and Land Bay 3 of New Kent Vineyards. Although the golf course, winery and some homes are up and running, residential has been slow to develop there, the commercial piece has sat largely dormant. 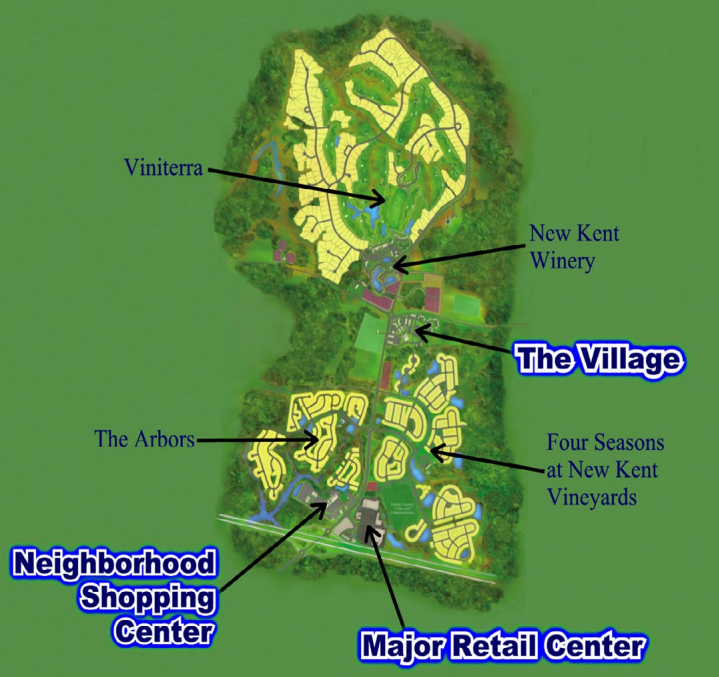 Do note that Land Bay 1 which includes the winery, the golf course and the Viniterra residential community is under separate ownership and not affiliated with Farms of New Kent LLC. They are current on their CDA assessment payments that are referenced in the article below. Any action taken by the County or the Bondholders against the commercial properties has no legal bearing on the Land Bay 1 properties. About 750,000 square feet of commercial space is envisioned for the acreage, which sits near the development’s New Kent Winery. Should it get as far as an auction, proceeds would be used to repay what’s owed to bondholders, made up mostly of institutional investors. But both the county and the developer are looking for a more positive resolution.